Lesnar and Reigns’ rivalry dates back to WrestleMania 31 in 2015 and the two recently slammed into remarkable matches at WrestleMania 31 and The Greatest Royal Rumble Event in Saudi Arabia this year. The Steel Cage Match of The Greatest Royal Rumble Event was masked in controversy because apparently the replay shows that Reigns’ feet hit the floor before Lesnar’s in the closing moment of the match, yet Lesnar was awarded the victory. After defeating Bobby Lashley on the 23rd July episode of Raw, Reigns is all geared up for the high-stake fight with Lesnar. The Big Dog has finally got an opportunity to take down his greatest rival The Beast and claim the Universal Title. Will Reigns’ personal feud against Lesnar be a help or hindrance? With The Beast’s potential UFC return alarming, will he be solely focused on once again conquering The Big Dog? Stay tuned to find out the results of the biggest event of SummerSlam 2018 – Brock Lesnar (c) vs. Roman Reigns (For the Universal Championship), scheduled this Sunday, i.e., 19th August 2018. The WWE Championship of SummerSlam 2018 is all going to be about the phenomenal Joe using every bit of his unbelievable arsenal to take down his brutal challenger AJ Styles. Recently, Samoa Joe’s title defences against Rusev at WWE Extreme Rules and Shinsuke Nakamura in Last Man Standing Match at WWE Money in the Bank made him one of the greatest Superstars that the squared circle has to offer. Will Joe be able to continue the winning streak in 2018 against AJ Styles in the championship bout of SummerSlam 2018 or will the no-nonsense challenger continue to be the WWE Champion? 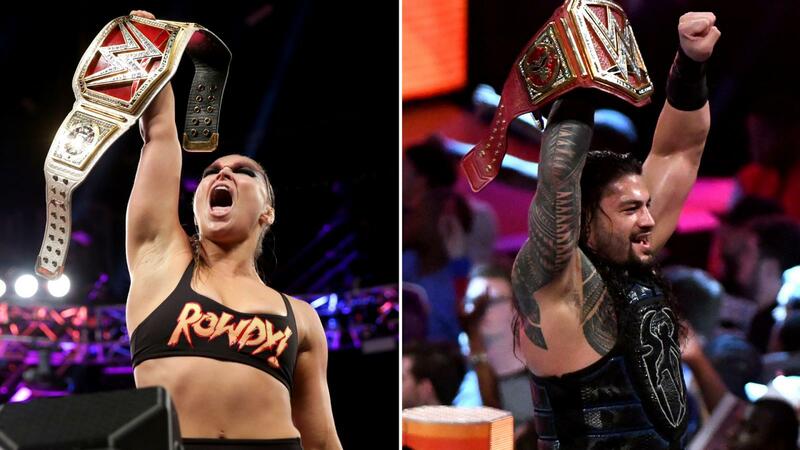 Watch out in the WWE Championship of SummerSlam 2018, scheduled this Sunday, i.e., 19th August 2018. 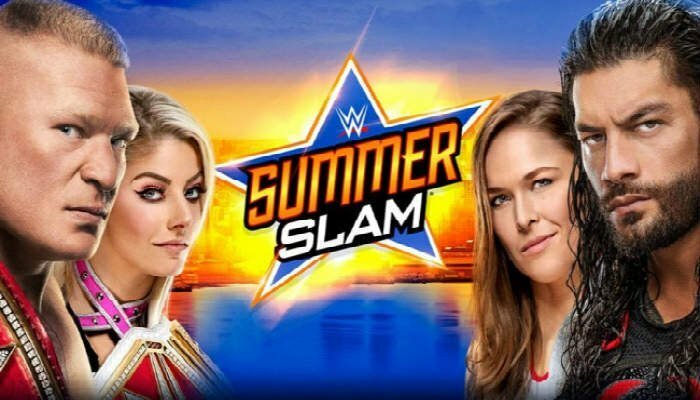 The heat of summer will positively turn explosive at SummerSlam, when Ronda Rousey – The Baddest Woman on the Planet will set on a collision course with Alexa Bliss – Five Feet of Fury. It may not be wrong to assume that the feud between Ronda and Bliss started back in January this year, when the debutant Rousey came under the spotlight by taking down the victorious Asuka in Women’s Royal Rumble Match. This was followed with smacking down The Goddess of WWE and Charlotte Flair – SmackDown Women’s Champion. Any unspoken enmity came to a head only at WWE Money in the Bank, wherein Miss Bliss intervened Ronda’s first title opportunity against Nia Jax by attacking both the Superstars and becoming the five-time Women’s Champion. After all Alexa knows how to win it at all the costs! Will the fierce Rousey continue to defy every expectation by making Alexa put her Raw Women’s Championship title? Will the Superstar Bliss continue maintaining the legacy of being a champion? Find out on 19th August 2018 in Raw Women’s Championship Match. Where will SummerSlam 2018 be held? What date is SummerSlam 2018? What time does SummerSlam 2018 start today? How much are the tickets for Summerslam 2018?